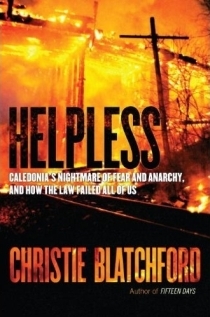 ← Caledonia: what went wrong? Where do we go from here? 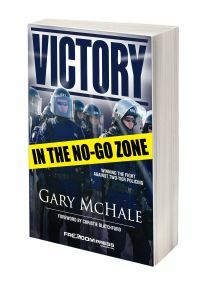 If the Dalton McGuinty government hands over the Douglas Creek Estates, especially knowing that the claim for possession exists only in the minds of militants seeking to justify their lawlessness [VIDEO #2, 14:50] [PDF], Ontario will have effectively legalized the use of violence against innocents as an alternative to upholding the rule of law. This can never be allowed. Your article will, I hope, set the tone of the debate going into the election that will make it impossible for McGuinty to do so. 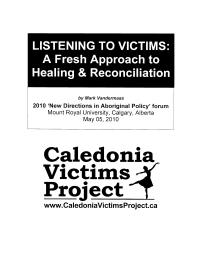 I have attached a copy of our joint Caledonia Victims Project/Canadian Advocates for Charter Equality media release of July 9th which expresses our desire to share the experience and evidence we have gathered during our 5 years of work in Caledonia as Ontario confronts the shame of Caledonia. 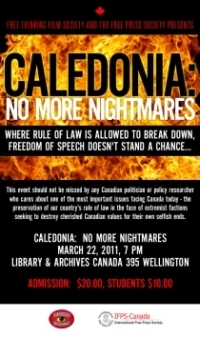 I am prepared to give my ‘Caledonia: An Illegal Peacekeeping Mission on Canadian Soil‘ presentation from our recent ‘Caledonia: No More Nightmares’ event to your fellow senators or any Conservative Party function – private or public – to help further understanding on this vital topic. I know I speak for Mr. McHale in saying that we both stand ready to assist our province and our country in any way possible. I look forward to meeting you again one day to thank you in person for this gift to the people of Ontario. Please contact me any time, day or night if I can be of service. 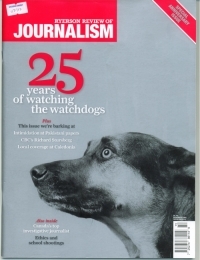 This entry was posted in Appeasement of Extremism, Caledonia activists, Caledonia in The News, Gary McHale, Ipperwash Inquiry Policy Fraud, Mark Vandermaas and tagged Ipperwash Inquiry, Peacekeeping in Caledonia, Senator Bob Runciman. Bookmark the permalink.